As the days draw in and the weather is getting colder, there were some red jewels in the fruit cage to brighten proceedings. The very last of my autumn raspberries were a welcome harvest. Now, I’m not really too sentimental about the garden but there was something quite poignant about taking the last of the summer colour away. 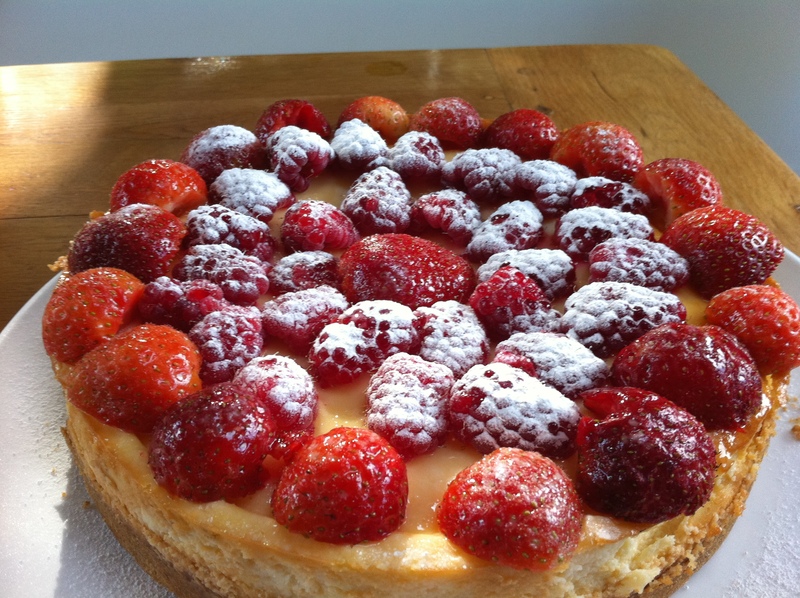 So to do these wonderful fruits justice, I decided to make a a baked cheese cake. We had some strawberries left over from the weekend and combined with the raspberries, the result was magnificent! The whole family approved and yes we were able to enjoy one final taste of summer from the garden…happy days!